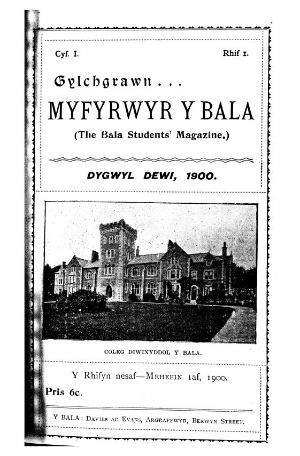 The trimonthly bilingual periodical of the students of the Calvinist Methodist College at Bala. The periodical's main contents were religious and general articles, biographies and news from the college and its societies. Amongst the periodical's editors were G. H. Havard and the poet, preacher and social reformer, Robert Silyn Roberts (Rhosyr, 1871-1930). Associated titles: Y Pair (1914).